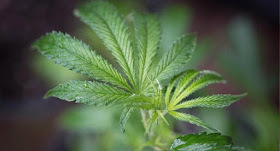 South Africa's main court ruled on Tuesday that the private and personal use of cannabis was legal in a landmark case that had pitted law enforcement agencies against marijuana defenders and the judiciary. The president of the supreme court, Raymond Zondo, in pronouncing the unanimous verdict of the Constitutional Court based in Johannesburg, declared that the law prohibiting the use of marijuana in private by adults "is unconstitutional and, therefore, invalid." "It will not be a criminal offense for an adult to use or have private cannabis in his possession for personal consumption," he said, and read the sentence in applause from the public gallery. The court also ordered the parliament to draft new laws within 24 months to reflect the order. Outside the cannabis advocates lit pipes and rolled joints to celebrate the news, filling the air with the distinctive aroma of marijuana. "I am happy that he does not get more criminal records for possession," Ruaan Wilson, 29, told AFP before stopping for a breath. "Now we can get the police to focus on real drugs and bullies," he said, wearing shorts and dark sunglasses.